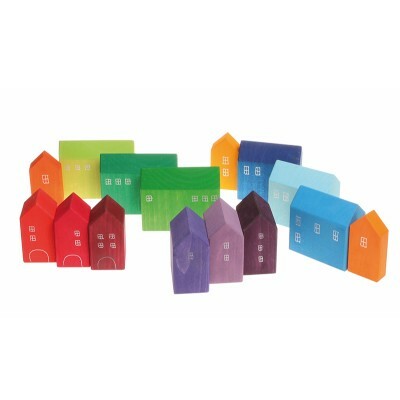 For little city planner: Create modern cities and villages with barns and churches. 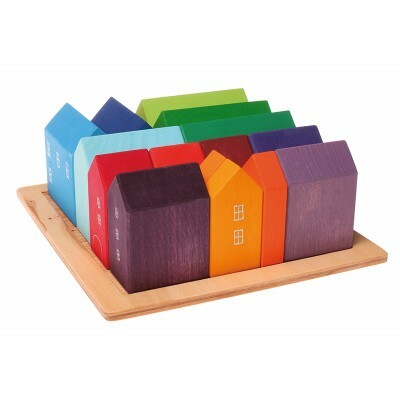 Also as colorful landscape for every wooden train and rail set. 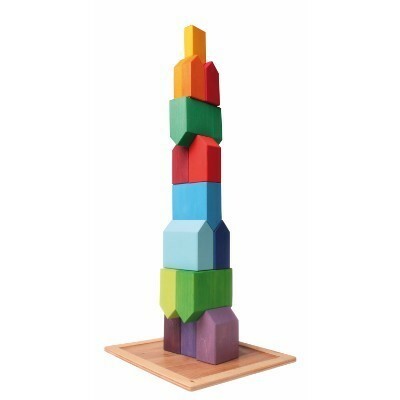 Tamanho: frame length 22cm, blocks height ca.8cm, thickness 2-10cm.